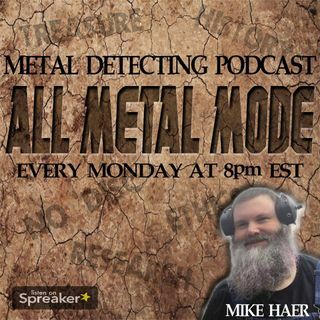 Join us as we discuss metal detecting! Join us as we discuss metal detecting. Monday nights at 8 p.m. Eastern time we do a live show with a guest discussing methods, history and anything metal detecting. We also do shows discussing specific metal detectors and equipment. Join me every Thursday night at 8 p.m. as we talk metal detecting with some of the best detectorists the U.K. has to offer!